Being the Australian distributors for Rotisol means we can offer all Rotisol rotisseries and their accessories. Rotisol manufacture arguably the worlds most most beautiful rotisseries from their state of the art facilities in Chelles, France.  They are world leaders in the field of rotisserie cooking, having been manufacturing rotisseries since 1954. 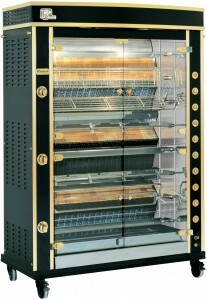 The Millennium range of radiant rotisseries are fully AGA gas approved, and our primary gas offering. 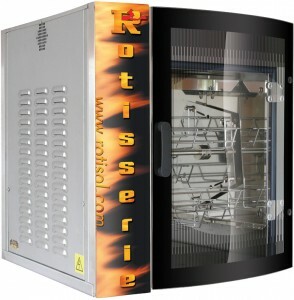 All other rotisseries by Rotisol are available in electric options. Our premium gas Rotisol rotisseries with full AGA approval (#8160). Customisable with options from basic stainless steel finishes, to the premium lux enamelled finish. Capacities from 4-48 birds. Available in gas or electric. Rotisseries from this range are the highest selling range in Australia due to their robust design, attractive looks and flexibility in function. The optional vertical spit solution allows even more creative cooking solutions. Our electric supermarket batch radiant Rotisol rotisseries. This is the rotisserie preferred by CarreFour, Le Clerc and other premium super market brands around the globe. Available in electric only in Australia. Capacities from 32-56 birds. This unit is designed to batch cook, with preset temperatures and the cooking cavity divided into two separately operated area’s. A set and forget option when you are cooking large quantities of similar sized and type of product. 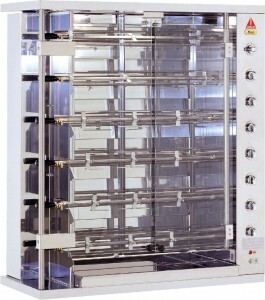 The Rotisol rotisseries for markets and mobile applications. Featuring a light and robust radiant style rotisserie. Available in electric only. Capacities from 16-56 birds. 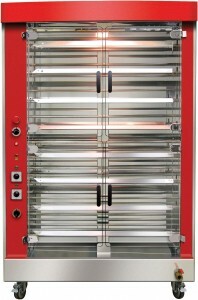 These rotisseries are very economical in price, and considered an entry level radiant style rotisserie. This is the range of energy frugal electric oven style convection Rotisol rotisseries. Great for applications where efficient compact solutions are required. Smaller sizes do not require mechanical extraction, making this an easy option for convenience stores and super markets. Capacities from 5-80 birds. 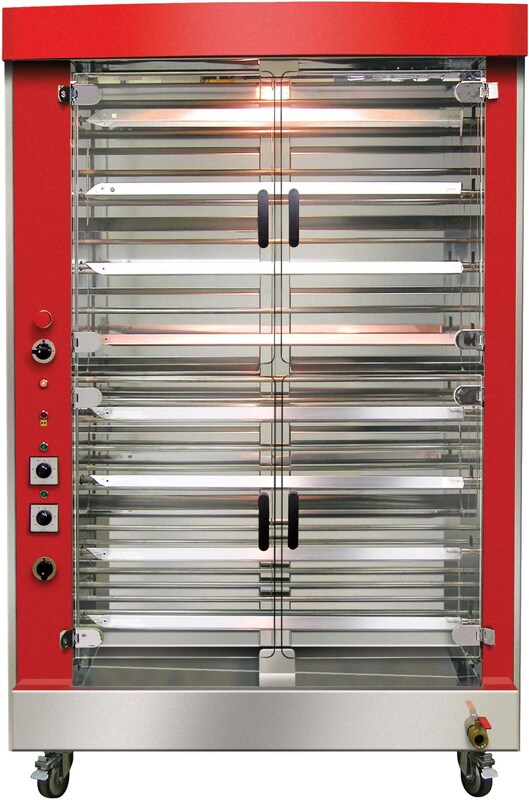 The Roti-Roaster is cheap to run due to the enclosed insulated cavity and fan forced air circulation creating an efficient use of all available heat. 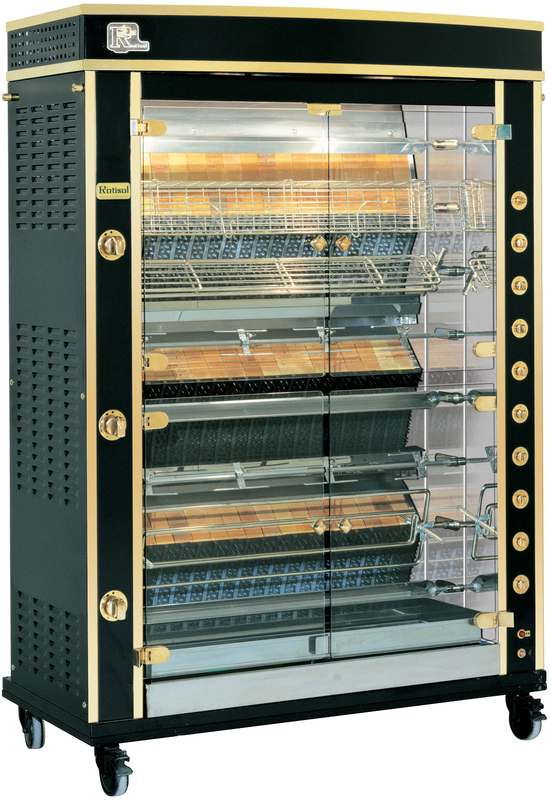 These rotisseries are also very easy to load and unload due to the basket style spit design.